Like doing the laundry, managing the learning content lifecycle is a tedious but important task to ensure you’re offering fresh, reliable, and relevant training. If you’re already populating beginning and end dates on courses in your learning management system, then you’re ahead of the game. But unless your content lifecycle management practices are comprehensive, in concert with a learning sustainability plan, your LMS is not delivering its full value. Courses that have become obsolete or irrelevant can muddle the search results and make it harder for learners to find what they need, adversely impacting the overall effectiveness of your L&D organization. Here are 4 steps to ensure your LMS content remains fresh and relevant. 1. Populate end dates when initially creating the course in the LMS. In many cases, it’s possible to reasonably predict the end of a course’s useful life—for example, sales training on a particular technology product can be discontinued based on product update release schedules, when the product in question will be replaced with a new version. If you populate dates when the course is created, you don’t have to go back and assign them at review time. Consider using quarterly end dates (March 31, June 30, September 30, December 31), which makes it easier to identify when courses need to be reviewed. 2. Identify timelines for review based on course type, and apply them. 3. Identify course owners and their responsibilities. The course owner is the person who will be contacted when the course is up for review. For smaller companies and those with very infrequent changes to organizational structure and roles, this is not difficult. For larger companies, where roles may change often, it’s best to identify a position that can represent the area of training, rather than a particular person with expertise. The course owner is responsible for either approving a course as is, retiring it, or requesting that changes be made. 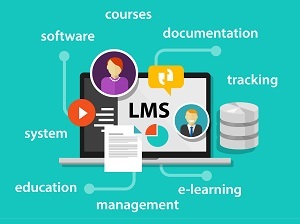 However, depending on organizational structure and processes, as well as specific LMS governance practices, the course owner may not be the person who actually reviews and updates the content. Often, other team members and processes will support the course updates. This is an important distinction in larger organizations, where the LMS administrator role may be part of a separate department or organization from that of the course owner. The clear communication of roles and responsibilities is key to success, especially around follow-up activities and timeline expectations to complete a course review and revision cycle. 4. Develop a process with actionable next steps for courses with upcoming end dates. Create reports that allow you to easily track courses and curricula that will soon enter a review cycle. Reach out to course owners at the appropriate frequency, and keep track of the review status to ensure verification and any needed LMS updates are completed. Good as is. Continue until _______. Needs update, but can remain active until changes are implemented. Needs update, should be made inactive until changes are implemented. Replace with _____, expected _____. Taking time up front to think about content strategy and lifecycle, identifying required fields for course creation and maintenance, and the process that ties it all together will ultimately prove worthwhile.